After months of waiting, we can finally share our first full-length album with you! LATCHED is one of our proudest moments in TLK history, and we couldn't have done it without you. Join us for a night of sweet music making as we perform the tracks live, along with some new songs. We'll also be raffling off some TLK swag throughout the night, including a chance to win the new album! Posted on March 21, 2018 by Joe Martinez. THE LOST KEYS PERFORM WITH ON THE QUAYS! TLK is excited to return to The Green Room 42 on Thursday, December 14, with On The Quays as a featured performer in the #howaboutlove? Holiday Edition show! Join us for an evening of great music and holiday cheer! Featured singers include Gerard Canonico (Groundhog Day, American Idiot), Daniel Quadrino (Newsies, Wicked), Janet Krupin (If/Then, Bring It On), and many more! Tickets are available now. The show begins at 7:00 PM. Posted on December 5, 2017 by Joe Martinez. Here it is- The Kickstarter page for our 2nd EP is LIVE! Any and all donations will go a long way in helping us to put together another award winning EP. Donation awards include Facebook shout outs, singing telegrams, and even your own private concert! Donate today! ALSO! Don't forget about The Lost Keys Kickstarter Kick-Off Concert, Feat. Stiletta & Crosstown Vocal, April 7th (7:30pm) @ Arlene's Grocery! Posted on April 3, 2017 by Joe Martinez and filed under Announcement and tagged Kickstarter Lost Keys Lost Keys NYC EP EP Recording Fundraiser Fundraising TLK TLK NYC NYC a cappella a cappella nyc a cappella. LIVE @ SAINT ANN'S PARISH! The Lost Keys will be participating in a wonderful afternoon of a cappella at Saint Ann's Parish, with a special guest performance by The Select Singers from Lyme/Old Lyme High School. Doors open at 2:30pm, show starts at 3pm! Posted on April 1, 2017 by Joe Martinez and filed under Gigs. KICKSTARTER KICK-OFF CONCERT AT ARLENE'S GROCERY! Did you love The Lost Keys' debut EP "Unlocked"? You know, that RARB 2015 Album of the Year, featuring Tracks (that's plural, yall) of the Year "Burn" and "Creep"? Have you been finding yourself up late at night thinking, "I sure wish those Lost Keys would record more of their wicked tunes..."
Well, wonder no more! Hot-off our Audience Favorite win at SingStrong, The Lost Keys are recording our sophomore album, and we can't wait to share it with you all. To kick things off, please join us at Arlene's Grocery on Friday, April 7 for our Kickstarter launch benefit concert! Featuring our insanely talented friends, Stiletta (2016 Harmony Sweepstakes National Champions) and Crosstown Vocal, this is going to be an aca-filled night of your favorite Lost Keys classics, plus a new lineup of exciting songs for your auditory pleasure. All for the low-low price of $12. We're practicaly giving it away! -What: Album Kickstarter Kick-Off Concert! Posted on March 23, 2017 by Joe Martinez. SING STRONG NEW YORK AT ADELPHI UNIVERSITY! We need you there to support and cheer us on as we take down the aca-scene of the Big Apple! Hop on the LIRR and head to ADELPHI University on 2/10 (7pm) for a sing-off for the ages! Tix available online- Get them before it's sold out! Posted on January 29, 2017 by Joe Martinez and tagged gig performance adelphi adelphi university sing strong sing strong 2017 new york lost keys lost keys a cappella lost keys coed a cappella. 2ND ANNUAL TLK KEY-BARET AT TRIAD THEATER! 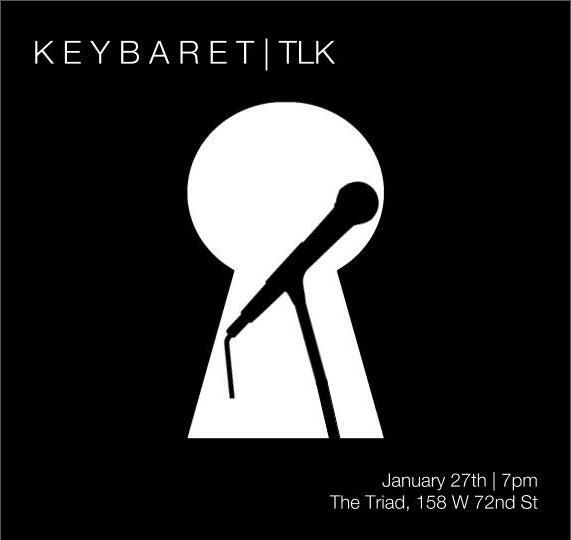 Come join The Lost Keys at the Triad Theater for their 2nd annual Key-baret! This concert will be a night that strays away from their regular aca-antics. Instead, it'll feature each member of the group in a not so aca-way. From Frank Ocean to Frank Wildhorn, they've got it covered! Posted on January 2, 2017 by Joe Martinez and filed under Gigs and tagged performance gig lost keys lost keys nyc lost keys a cappella lost keys nyc a cappella coed a cappella Key-Baret Triad Theater Triad. Hey NYC! The Lost Keys are looking for a new member to become their next MUSIC DIRECTOR! All voice parts are welcome to apply. Beat boxing skills are a bonus! The first round of auditions will be via virtual submission and in-person auditions will follow in December. Please contact lostkeysnyc@gmail.com if you are interested and would like more information. Posted on November 7, 2016 by Joe Martinez and tagged Lost Keys NYC Lost Keys a cappella The Lost Keys The Lost Keys A cappella Lost Keys coed a cappella NYC NYC Lost Keys Auditions Music Director. Fall is here and TLK is back! To kick off the aca-season, we're going to add some pumpkin spice to your life! We'll sing all your favorite CREEPy songs; rediscover songs deep in the HOLLOWs of our catalogue; and maybe we'll get to the BOTTOM of a possible GHOST in our group?! Come get in the spooky spirit with us at Arlene's Grocery on Oct. 20th @ 8pm, $10 at the door! Posted on October 20, 2016 by Joe Martinez and filed under Gigs and tagged lost keys lost keys a cappella a cappella coed a cappella Arlene's Grocery Arlene's Lost Keys New York City Fall gig Fall 2016 2016 performance. This June marks the 5th anniversary of the Lost Keys as one of NYC's best a cappella groups! On June 11th, at the Triad (Stage 72), we want to celebrate with YOU- our amazing family, friends, and fans! This will be a concert that celebrates our history and our future as music makers. From bright green pants to questionable choreography and flash mobs, to recording an EP-we want to remember it all. Most of all, we want this to be a night to thank all of our alumni and supporters through the years. Without you, there isn't an us. So here's to 5 more years and beyond! TICKETS ARE AVAILABLE ONLINE for $12 ($15 at the door) 2 drink minimum,, 21 and over. Our friends, and Youtube sensations, BACKTRACK will open! Posted on May 16, 2016 by Joe Martinez and tagged 5 Years Found 5th anniversary Lost Keys Lost Keys Coed a cappella a cappella gig performance Triad Stage 72 5 years found anniversary 5 years nyc nyc a cappella new york city new york city a cappella. HARMONY SWEEPSTAKES 2016 AT COLUMBIA UNIVERSITY! We'll be competing in 2016 Harmony Sweepstakes A cappella Festival on March 19th. The show starts at 7pm and it's being hosted by our friends and last year's winner, Low Key! Come out and support the Lost Keys in their 2nd Harmony Sweeps competition, and hear some of the best a cappella New York has to offer. The show starts at 7PM at the Miller Theater at the Columbia University School of Arts. See you there! Posted on February 19, 2016 by Joe Martinez and tagged Lost Keys NYC Lost Keys A cappella TLK TLKNYC Harmony Sweeps Harmony Sweepstakes Harmony Sweepstakes 2016 Columbia University Columbia New York New York City NYC NYSweeps 2016 A cappella coed a cappella. SING STRONG 2016 AT ADELPHI UNIVERSITY! The Lost Keys will be performing at the 2016 Sing Strong Aca-Idol competition this Friday! We're thrilled to be competing in our first Sing Strong and can't wait to sing with some of the best groups in NYC. The show starts at 7PM at Adelphi University and you can purchase tickets HERE. Hope to see you there! Posted on February 4, 2016 by Joe Martinez. LOST KEYS KEY-BARET AT THE BITTER END! It's a fact that TLK can sing a cappella as a group, but how do we fare as individuals? This evening of music will explore other vocal stylings of individual Keys as we dig deep into our musical roots. Rock, Pop, Soul, Piano, Ukulele, Showtunes?? Yes to all of it! Of course we'll still be doing a small set of some aca-faves and maybe a new tune! Come check out TLK on JANUARY 9TH, at 7PM at the Bitter End for our very first KEY-BARET! 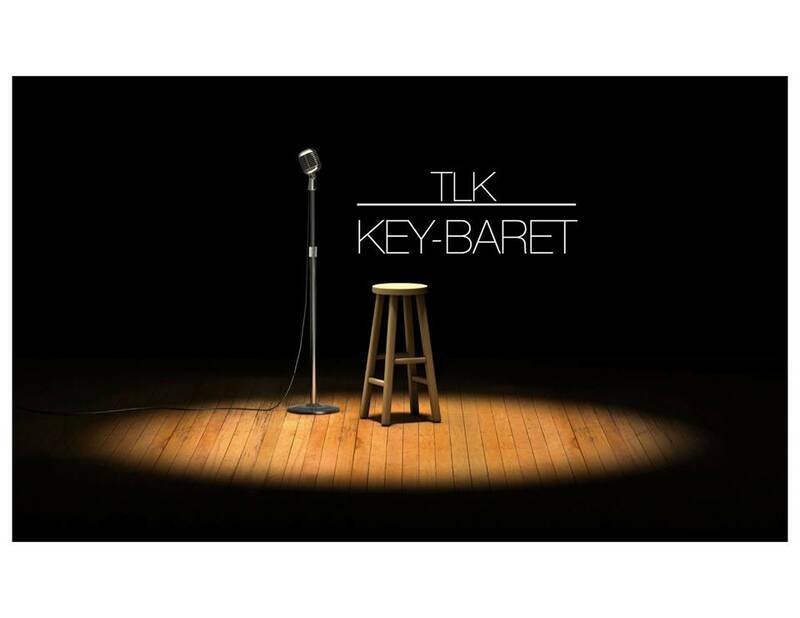 Posted on January 4, 2016 by Joe Martinez and tagged Lost Keys NYC TLK KeyBaret Key-Baret Cabaret Gig Performance The Lost Keys NYC The Bitter End Bitter End Lost Keys coed a cappella coed a cappella New York City. We'll be singing tomorrow evening at 7:30pm around Union Square. Come out to hear some Lost Keys classics and some new songs, like Shut Up & Dance! Location around Union Square is TBD, but if you follow the music, you'll find us. See you there! Posted on August 17, 2015 by Joe Martinez and filed under Gigs and tagged Lost Keys Lost Keys NYC The Lost Keys TLK Shut Up & Dance Shut Up and Dance Walk The Moon Lost Keys a cappella NYC The Lost Keys NYC Union Square. LOST KEYS EP RELEASE PARTY AT ARLENE'S GROCERY ! The long-awaited release of The Lost Keys' EP has NOW ARRIVED!! Come celebrate with us as we launch "Unlocked" into the world, an EP 4 years in the making. We have some exciting new songs to share with you all as well as some crowd-favorite Keys songs that just may be making an appearance on Unlocked. We'll be having a post-show after party at the bar on the main level, so stick around to have a few drinks, make a toast to this momentous occasion, and, ya know, BUY OUR EP! We can't wait to see you all there! Posted on May 27, 2015 by Joe Martinez and filed under Gigs and tagged Lost Keys NYC The Lost Keys NYC A cappella EP Release Unlocked The Lost Keys Unlocked Arlene's Grocery NYC Lower East Side LES TLK The Lost Keys A cappella Coed a cappella UnlockedEP Lost Keys New York City New York City. RSVP via our Facebook page, and we can't wait to see you all there! Posted on December 1, 2014 by Joe Martinez. LOST KEYS LIVE VIA CONCERT WINDOW! The Lost Keys are performing...IN YOUR LIVING ROOM! Or office, or bedroom, or anywhere else you can bring a computer! Earlier this year we treated our fans outside of NYC to a special streaming performance via Concert Window. Join us again from the comfort of your couch on October 28th at 8:30pm (EST). Tune in and not only will you be able to watch, you'll also be able to chat with us and make a donation of your choosing. We'll also be making a very special announcement that you don't want to miss! We can't wait to "see" you all there! Posted on October 26, 2014 by Joe Martinez and tagged Lost Keys Lost Keys NYC Lost Keys A cappella thelostkeysnyc.com The Lost Keys NYC The Lost Keys Concert Window Concert Gig October 28th Announcement NYC.